Architecture of Amazon Connect, from 1 to 10,000 agents. BlogArchitecture of Amazon Connect from 1 to 10,000 agents…It Grows With You! Contact Centers have the reputation of being big and complex systems that take years to complete from the creation of the architecture to deployment. The thinking is that only the wealthy can afford the fancy market-leading features. Well, it’s certainly not true anymore. Amazon is breaking the trend with Amazon Connect, where, in fact, you can get a basic Contact Center working in minutes and for less than you think! But don’t imagine that this is some kind of second class version. This is the same solution that the Enterprises use! Here you can see what this looks like from an Architecture point of view… pretty simple right? But don’t think of this as some sort of an inferior solution. This has the same features that an Enterprise level business runs with but it uses the highly available AWS Infrastructure that scales on-demand and allows to pay only for what you use! You get Telephony (Toll Free and DDIs numbers) along with IVR Menus, Call Queues, Reporting etc…and best of all you can add features as you grow. Organizations that are wanting to test and learn at pace. S3: This is used to Store Call Recordings. You have the option to Record Customer/ Agent or both and store these indefinitely. Audio is recorded in an Open format (WAV) so you can add tools later to analyze the information or just simply listen to them via playback which is available directly from the Amazon Connect UI. S3: You also use S3 to save Call Reports, and, like the call recordings, you can save as many reports as you want for as long as you like. And using an AWS service called Athena, you’re able to query these flat files on demand at any time. Lambda is a special service I highly recommend you learn about. Lambda allows code to be executed on demand and what the code does is up to the developer building it. In this scenario, we can use the data returned from the Lambda to affect the Customer Journey, provide information to the caller or provide the text for the messaging prompts. And it can integrate into other AWS Services, 3rd Party APIs or your own existing services. DynamoDB: This is a NoSQL database from Amazon. You can store your customer orders, account information, have an administration database to affect special routing and more. 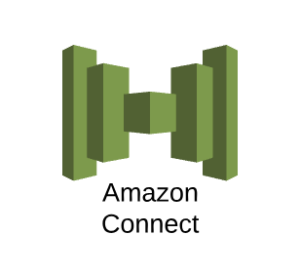 When used in the Architecture above, we are able to use the Callers ANI (Phone Number) which is sent from Amazon Connect to Lambda, which looks the callers order up in the database and provides the caller with personalized information! (Self Service) The information is Dynamic and Amazon Connect can handle it with its built-in Text to Speech Engine (so no need for complicated IVR messaging). You can also provide the caller some options to update the information and Lambda can update that in DynamoDB for you. The great thing here is you get to see the value on a rapid development cycle. While this looks like a significant advancement, it’s still fairly contained. So let’s build on the previous model some more. S3: This time we add a custom Administration Portal for your ‘Ops Team’ so that they can affect the routing via toggle buttons, close routing ad-hoc, play special messages (that they type into the portal) and respond to increasing demands etc..
Lambda: As shown previously, however, this time we also connect to SNS, Simple Notification Service. This allows us to send Mobile Notification, SMS, E-Mails etc. This can be completed DURING or AFTER the contact. Welcome back Donna. I see your flight has been cancelled, would you like to reschedule? 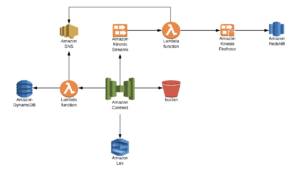 Kinesis Streams: This provides the real-time streaming of all the Contact Trace Records (CTRs) data from Amazon Connect. These are the results of the contacts from Amazon Connect. The data sits in streams waiting for a consumer, in our case the Lambda, to do something with it. Lambda: As explained above, this provides post-processing of the records and can perform actions, like a post-contact survey, and sends the data onto Firehose. Kinesis Firehose: Firehose is a variant on Streams which is more for batch type data movement, and is needed to feed Redshift. Redshift: This is Amazon’s Enterprise Data Warehouse solution where you’re able to run queries on massive amounts of data and where your data scientists will live. You’re able to start small and grow. No two implementations need to be the same; you can create a solution just for you! Note: Out of the box Amazon Connect has Service Limits, so make sure you’re aware of them. Monitor for and increase as required. For some customers, building and supporting the technology yourself doesn’t make sense. 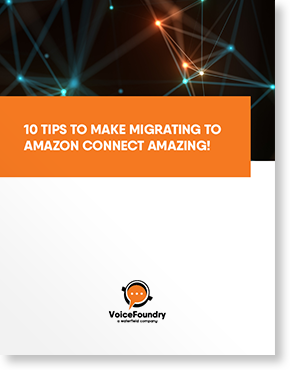 This is where VoiceFoundry can help, our Migration and Managed Service Offerings can ensure that you take full advantage of the Amazon Connect features and pricing without needing the in-house talent.